Ken is a retired country butcher and feed lot operator. He was awarded the Order of Australia Medal OAM in 2015 for services to Queensland performance sailing. Ken currently holds the positions of Chair OLCA, Chair ALCA, and Board Member and Past President of Yachting Queensland. 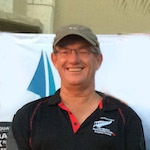 He is also a Life Member of the Queensland Laser Association QLA and has been involved with Lasers for 19 years as a father, coach, mentor and masters sailor. Nick is now retired after a career in civil engineering and commercial construction. Nick has been a Laser Sailor since 1976. He regularly competes in Laser Masters events in New Zealand and Australia and has competed in the Laser Masters Worlds for the last 10 years. Since 2007 Nick has been the Chairman of the New Zealand Laser Association and has been on many committees over the years. Last year Nick joined the ILCA Committee as treasurer and now works regularly with the ILCA office staff on class finances. 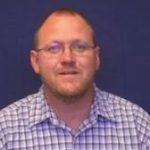 Kevin is also currently the Chair of NSW and ACT Laser District Association and Secretary of the Australian Laser Class Association ALCA. An Electrical Engineering graduate from University of NSW Kevin is now retired after a 44 year career as a communications engineer and executive specialising in mobile networks and communications. Since 1957 Kevin has been sailing an involved in administration in many different dinghy classes – VJ’s, Skates, NS14, MG14, B14 and, for the last 10 years Lasers. He also sails his Ross 780 and on other yachts from time to time. As well as being involved in administration he is a regular competitor in Laser events at club, district and in Laser Masters at national and international level. A Chartered Accountant Geoff has wide experience in business administration and finance. He is a long term sailor still regularly sailing his Laser on Middle Harbour (Sydney) and at Soldiers Point (Port Stephens) and his Cavalier 28 on Sydney Harbour. Geoff also competes regularly in State, National and World Masters Laser events as well as being an active tennis and golf player. 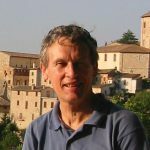 Geoff has been involved in sailing administration and an avid supporter of Laser Youth at club, district and national level and was the commodore of his local Greenwich Flying Squadron Club for many years. He is currently the Treasurer of NSW& ACT Laser District Association as well as Treasurer of ALCA and OLCA. The keeping of accounts is just a normal day’s work for Geoff and his passion for the Class is second to none. Neville Koop is a dual Australian and Fijian Citizen and is a professional meteorologist specialising in tropical weather and climate.Born and raised in South Australia, Neville graduated in Meteorology and Oceanography from the Flinders University of South Australia. Neville’s interest in the weather grew from his love of sailing. 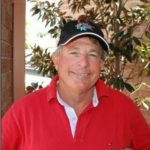 An active and regular sailor since the age of 10, Neville began sailing in 1974 in South Australia in a succession of dinghy classes during his youth including the Holdfast Trainer, Rainbow class, Australian Lightweight Sharpie and the 505 class. Later he shifted to offshore sailing, participating in a number of blue water events. Work took Neville to the Pacific Islands in January 1989 where he still currently resides, based in Suva Fiji. He has worked in Fiji and Samoa and travelled extensively throughout the Pacific over the past 28 years and has many close personal and professional associations across the region. Neville has served as President of the Royal Suva Yacht Club Junior Sailing Program from 2010 and in 2014 was Secretary of the Fiji Yachting Association. Neville resigned from his role as FYA role in 2018 to focus on his role as Secretary of the Fiji Laser Class Association and a board member of the Oceania Laser. Raema was born in Samoa of German decent. On returning to Samoa in 1986, from owning a restaurant in Sydney and dairy farming in New Zealand, Raema took over managing 12 family owned flats in Motootua, in Apia. Raema now works in property management. Raema was given a boat when she was eight years old and just taught herself how to sail. She has now been coaching sailing for over 20 years at the Apia Yacht Club in Samoa and was recently awarded an Olympic Solidarity six week scholarship to enhance her coaching skills. 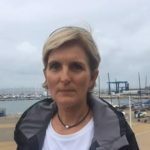 She is heavily involved in the local sailing scene and is currently the Commodore of the Apia Yacht Club. Raema is an avid Laser class supporter & sailor and is keen to promote laser sailing in Oceania and especially in Polynesia.